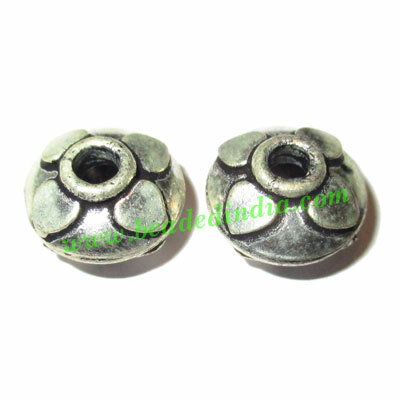 Sterling Silver .925 Fancy Beads, size: 7.5x11.5mm, weight: 1.74 grams. Leather Cords 3.0mm (three mm) round, regular color - sky blue. Leather Cords 0.5mm (half mm) round, regular color - military green. Leather Cords 4.0mm (four mm) round, regular color - dusty plum. Leather Cords 3.0mm flat, regular color - orange. Sterling Silver .925 Headpin size: 2.5 inch (63 mm), head size : 5x10mm, weight: 0.69 grams. Leather Cords 3.0mm flat, metallic color - magenta.